The e-residency program is 'absurd' and crypto-currencies and blockchain are a disappointment for classical banking. 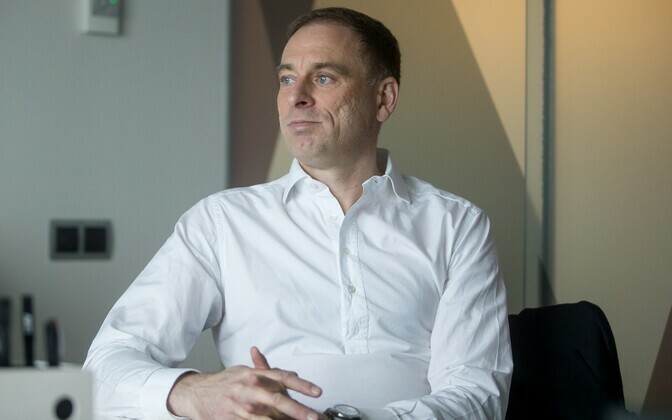 But there are still a lot of interesting things going on, banker and entrepreneur Rain Lõhmus told technology portal Geenius.ee in a recent interview. People tended to buy into what got hyped, Lõhmus said. 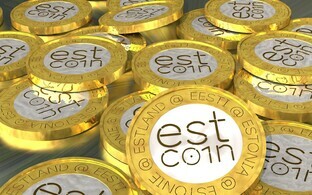 The current attention surrounding both the Estonian e-residency and the idea of an initial coin offering (ICO) connected with it was just another example of that. E-residency was a neat technology, but what he didn’t understand was why yet another approach was necessary to confirm someone’s identity. 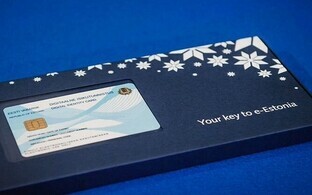 So the Republic of Estonia confirmed with its e-residency that you are who you are, and with that, you could then do things here. But what for? The concept was completely absurd: People could sign things digitally and their identity could be confirmed digitally in Switzerland as well, it just wasn’t particularly widespread. If Estonia recognized Swiss passports, why not also recognize the Swiss digital signature, Lõhmus asked. Why offer an additional proof of identity? That meant putting a lot of effort into something for which there might actually be an easier solution. “Let’s just say that if the program was a company, I wouldn’t be buying shares. I think this is just a hype,” Lõhmus told Geenius. But that particular hype was spreading nicely. Marketing was important: “Most people don’t ask questions, feed them a nice lie, and they all believe it. Especially when some famous person endorses it as well,” he said. The hype was connected to the fact that there was no commercial enterprise at risk. Things would be different if a business was at stake. For example, LHV couldn’t allow itself to pretend everything that everything is okay while actually being far away from its goals. Where the e-residency program was talking about getting to 10 million e-residents by 2025, right now they were just acting important, while they had reached just 2 percent of that goal. LHV couldn’t do anything similar, Lõhmus pointed out. While everybody was now saying that they wanted e-residents, the state at the same time didn’t want to see the share of non-residents’ assets in a local bank to go beyond a certain point. 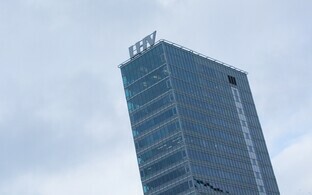 In the case of LHV, the bank already had a lot of foreign assets due to its business with financial service providers abroad, which meant that it couldn’t currently take on e-residency clients on a larger scale. In addition, doing business with clients from far abroad had been difficult since the crisis, as in case of problems the fines were now high. If someone from, say, Israel or France wanted to open an account with them, by law they needed to understand what these people’s interests and businesses are. And the honest answer here was that they hardly stood a chance to find out. So if they took them on and something went wrong, it could be expensive. Hence, from a business point of view, in this case it was easier to simply not enter into a relationship with them, as the risks outweighed the scale of the new business. Talking about LHV’s reputation as a pioneer in this area with its effort to let clients open accounts via Skype, Lõhmus said that there was no specific advantage, but that a bank these days consisted of lots of different elements, and this feature was just one of them. In this case, after the regulator allowed it, LHV simply had been a little quicker than everybody else. Though LHV runs the euro payments of crypto-currency platform Coinbase, both Lõhmus and the bank otherwise remain reluctant to enter the crypto-currency business. Again, there were plenty of risks, but the business volume was small, Lõhmus said. While he wouldn’t want to trade bitcoin, the technology behind it was interesting and had recently attracted quite a crowd. While three years ago the value of bitcoin had been slipping, it had now multiplied, and a whole new group of people was dealing with this kind of crypto-currency token. 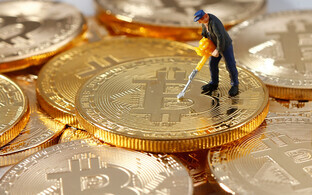 Bitcoin hadn’t led to any breakthrough in classical banking, but recently the amount of capital that start-ups especially in the area of financial technology had been able to rise had increased drastically, Lõhmus pointed out. Companies had raised €1.3 billion by means of so-called initial coin offerings (ICOs) in the first half of 2017 alone. 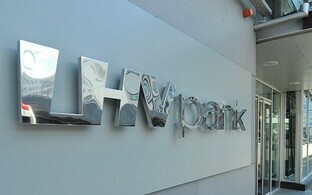 That was a very large sum, and hinted at the development of a parallel investment banking system based on blockchain technology, Lõhmus said. Compared to classical investment capital and shares, it wasn’t quite as clear what investors were getting though—they were buying tokens, and it wasn’t quite clear what they would eventually get out of it. All this wasn’t currently very visible, but it was growing, and would eventually catch the eye of the regulator as well. History would repeat once again. A hundred years ago, insider trading of shares had been both common and legal—until it was regulated. There might as well be another bubble here, he added. But though there was a chance that most of this new business would go belly-up again, at least there would be this parallel structure to raise money left over, and perhaps something would survive this time as well, like Amazon survived the tech bubble in the late 1990s. Commenting on his view of the start-up scene, Lõhmus said he was reluctant to invest, as there was a lot of copying and hot air. Plenty of ideas were simply picked up from things that were already done in Silicon Valley. One start-up he did invest in had been Barking. The parking service acts as an intermediary for car parking spaces, thereby making better use of resources, which was an aspect of the business he liked, Lõhmus said. Also, Barking was more than reverse-engineered software, as it needed telematics and hardware as well. It went beyond a simple knock-off of an American idea. Rain Lõhmus is one of the founders of LHV Group and was also among the founders of Hansabank (now Swedbank), one of the great success stories of Estonia’s economy in the 1990s. He lives in Switzerland. Follow this link for the original interview with Geenius.ee (in Estonian).